Sears is offering the Cannon Flannel Bedsheet Sets for $16.19. 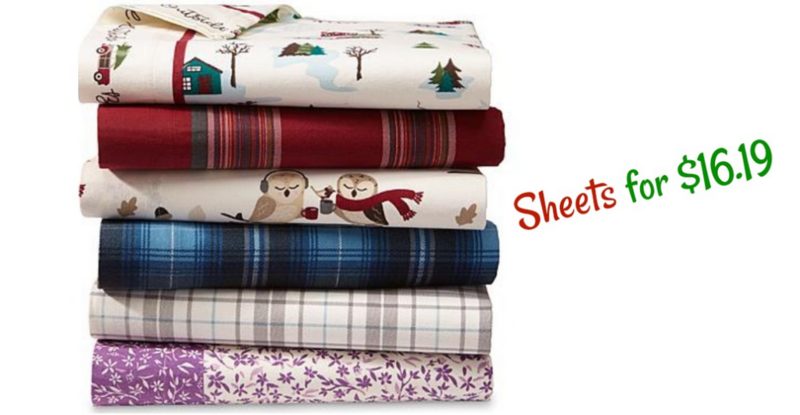 This deal is available on various sizes and styles of sheets including California King. This is a fun way to decorate for the holidays but hurry as sizes are going quickly! These are a great gift idea too. Offer valid through 12/16. In-store pickup available at select stores.